Three full length human bodies. Alpha matte. Black and White background. 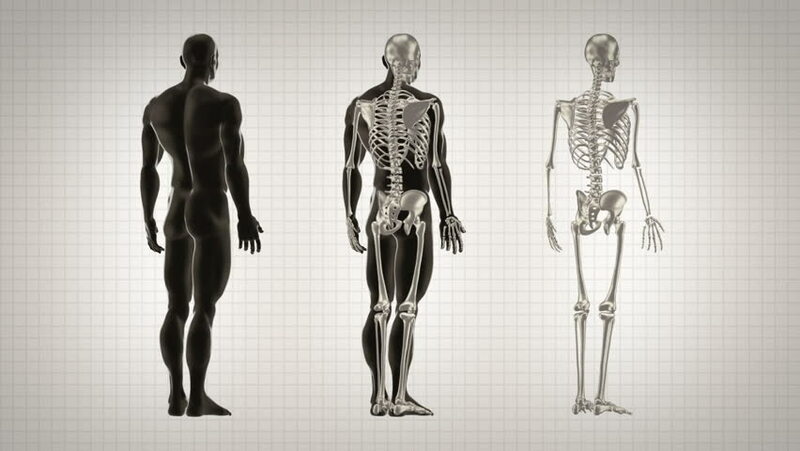 Highly detailed human body and skeleton turning. Loopable. 4k00:34Wireframe: quarter-speed slow motion, dual view of male android - jumping jacks. Works as its own transparency mask. Seamless loop. 4k00:41Wireframe: quarter-speed slow motion, dual view of male android - confident walk. Works as its own transparency mask. Seamless loop. 4k00:41Wireframe: quarter-speed slow motion, dual view of male android - medium walk. Works as its own transparency mask. Seamless loop. 4k00:38Wireframe: quarter-speed slow motion, dual view of female android - cocky walk. Works as its own transparency mask. Seamless loop. 4k00:33Wireframe: 360 degree high angle tracking shot, half and quarter-speed slow motion, male android - confident walk. Works as its own transparency mask. Seamless loop.